With the world listening to his every note, singer/producer, Da’Ville defines his style of reggae with a fusion of Pop and R&B swirled with soul. Putting his life experiences in each of his hit songs, this artist extraordinaire is a force to reckon with. “I was born singing” jokes Da’Ville, “as a youth, singing was my only escape from the trauma and painful life I was going through growing up. My life was hard; and to escape it all I sang in church and at all the local school functions.” With a rooted passion for songs and a developing strength for performance, he continued to sing hoping to fulfill his dream as an entertainer. Da’Ville was raised by his Grandmother who emphasized the importance of education and religion which helped to build the foundation for his art of expression today. In 2005, after a successful debut album released with Avex Entertainment Group (Japan), he was signed to Avex Entertainment Group for 3 years releasing 3 consecutive successful albums. As a songwriter, composer and producer, Da’Villes’ music has topped charts locally and internationally allowing him the opportunity to work with recording companies such as Avex Japan, Ki/oon, Sony Music Japan, VP Records (Indie) and Fashozy Records (Indie). Da’Ville has appeared in several music videos, and television commercial. His swagger earned the attention of commercial endorsements from Nike (Japan), Nesta Clothing (Japan), Mizchif Clothing (USA), and Cooyah Clothing and Cooyah Spring Water (Jamaica). Now under the direction of his own Indie Label, Fashozy Records Inc., Da’Ville is proving that there is no stopping him. Following in all his successes, he has recently written and produced his latest hit single “Wine U A Wine”, released June 2010. The commercial single is made waves at mainstream radio and was added to rotation on several stations. 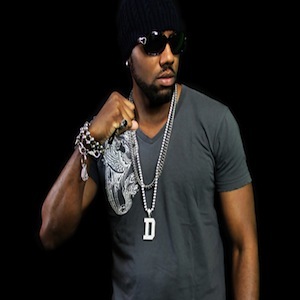 In 2011 after the release of “When I’m With You”, Da’Ville took a break from the music front line but return in February 2012 with the release of his latest effort “You Got The Ting” which has been gaining worldwide recognition and is part of his latest album called Krazy Love, produced by Fashozy Records Inc and released on June 2012 by Zojak Worldwide (digital/online), Tads International (physical copy) and Rockers Island for the territory of Japan. Da’Ville is one of the most celebrated Pop/Reggae R&amp;B artists in Japan, USA and the Caribbean. His expanding fan base continues to increase because of his dedication and commitment to music. The world has yet to see the best of Da’Ville.